Amazing, enlightening and empowering Business Chicks breakfast event as part of #IWD2019. 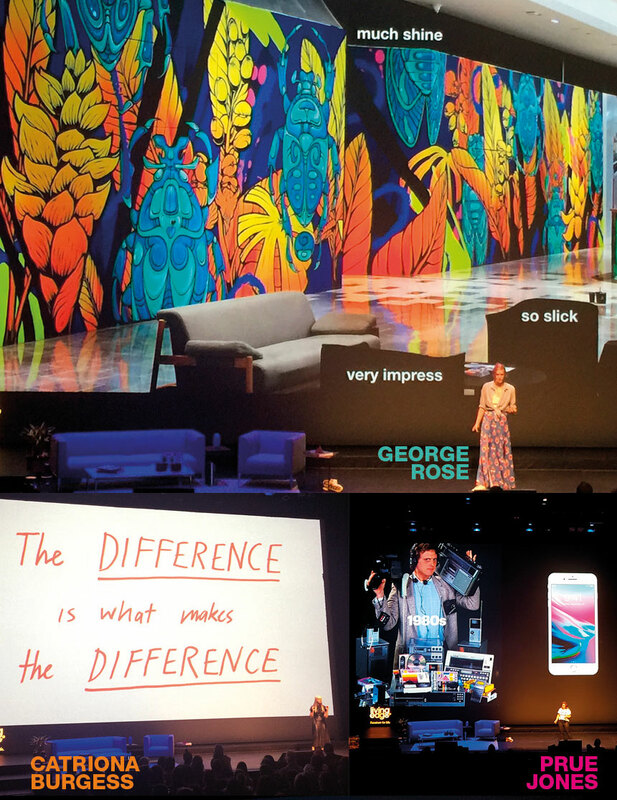 Insightful, engaging and challenging speakers all with a common message – that together we can achieve so much more! That no matter where we are in our careers, no matter what the challenges we may face in our lives and regardless of the obstacles we may find between us and our goals – with the support of others, by drawing strength from our friends, our peers and our supporters – we can achieve great things. Amna Karra Hassan: Let’s get comfortable with being uncomfortable. Let’s be real and authentic. Anne Summers: Let’s celebrate the achievements of those strong women who have come before us. Let’s build and grow from those wins and take new bolder steps toward gender equality. The concept of ‘balance’ is core to achieving gender equality. We acknowledge that right now in our society there is an imbalance. But how do we change this? What can we do to achieve the goal of a more balanced, fair and equitable role for all women in society – in business and in our communities? Perhaps understanding the principles of balance in design, and applying these same principles to our lives, could provide us with a guide to how we can progress toward achieving Balance for Better. We need to recognise each other for our unique capabilities. We can provide a safe, open and inclusive environment where everyone feels valued and accepted for who they are. We can also provide support and direction when held is needed. And we must reward individuals equally on merit. Let’s recognise and celebrate our differences. Let’s relish in our uniqueness. Let’s understand that personalty is an individual characteristic that’s not gender-related. Let’s appreciate not only our difference in gender – but the differences that come with age, culture and experience. We can be aware, we can share our ideas and opinions openly. We can provide a safe, open and inclusive environments where everyone feels valued and accepted for who they are. We can celebrate creativity and innovation and praise a job well done! We can conduct ourselves in both business and our personal lives in a fair and equitable manner. AND we can make positive changes that take us closer toward achieving a balance for better. All of this is possible – regardless of gender. 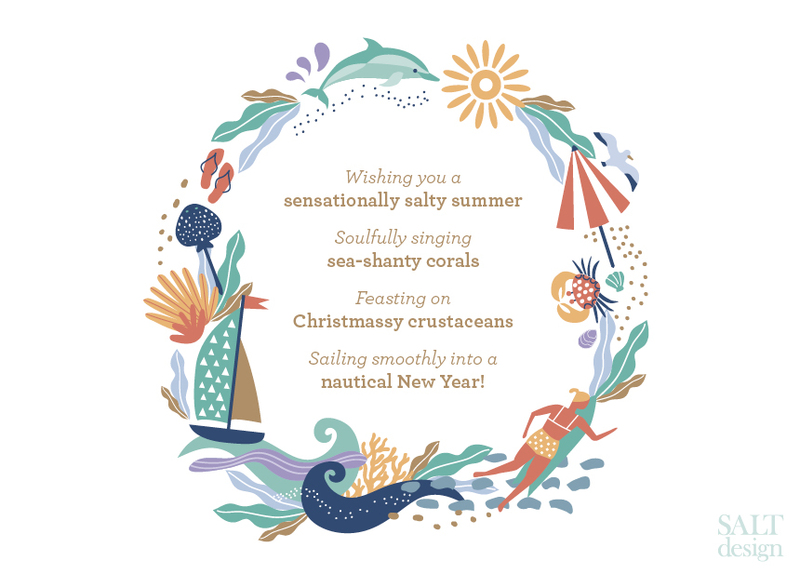 We’re taking a short break from 21st December 2018 until 7th January 2019.
https://www.salt-design.com.au/wp-content/uploads/2018/12/SALT_Christmas_2018_Holiday_header.jpg 330 860 Editor https://www.salt-design.com.au/wp-content/uploads/2017/02/Salt-website-header-logo-reverse-300x138.png Editor2018-12-21 11:55:052019-01-03 08:22:06Seasoned Greetings! 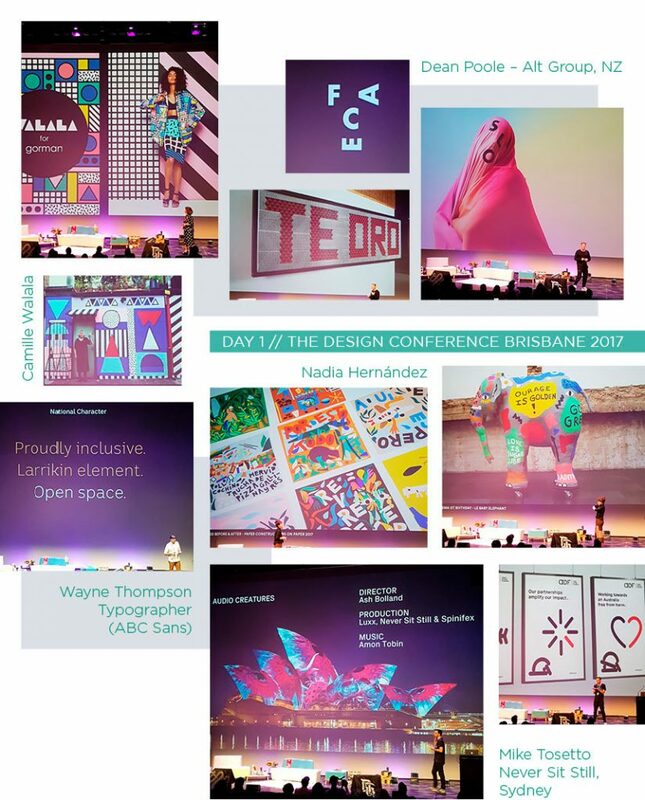 Basking in the glorious winter GC sun – we were super excited to return for another year of typography inspiration. Our expectations were high, based on the 2017 line-up. 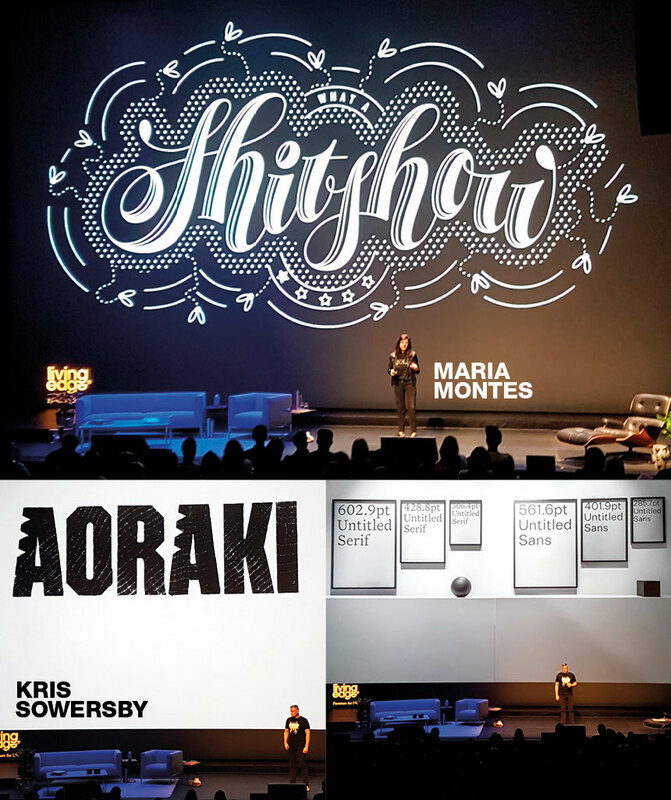 This year’s collection of presenters – all internationally-renown designers and typographers did not disappoint! We listened intently to each presenter, ‘oohed’ and ‘ahhed’ at their amazing work, and learnt loads . . . design approaches, analogue and digital techniques, typographic styles, creative challenges (and solutions), tips for better understanding clients – this event had it all! 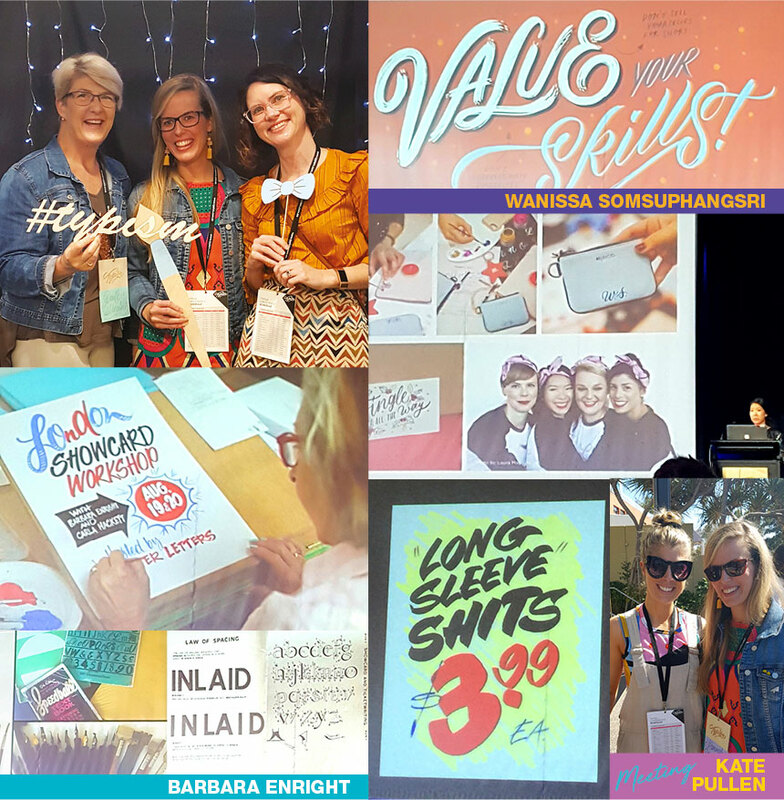 Best of all – we spent a great day together immersing ourselves in a community of creative inspiration! The guest speakers included Wanissa Somsuphangsri, Barbara Enright, Cyla Costa, Lachlan Philp, Kelly Spencer, Crystian Cruz, Karin Newport. Thanks Dominique and your team for another fabulous Typism event! https://www.salt-design.com.au/wp-content/uploads/2018/08/Salt_Blog_Typism_2018_header.jpg 330 860 Editor https://www.salt-design.com.au/wp-content/uploads/2017/02/Salt-website-header-logo-reverse-300x138.png Editor2018-08-10 12:45:402018-08-28 09:17:26Another fantastic Typism event! Design has the ability to extend, express and engage. It can communicate beyond perceived boundaries – geographically, culturally, politically and ethically. It was a sensory delight seeing these designers’ works and hearing their journeys (both personal insights and career highlights). With the theme to this year’s event being “Life changing moments”, each speaker presented their own perspective on how they do what they do, and more importantly WHY they do what they do. As both personal and professional yardsticks, we found ourselves inwardly exclaiming “yes!” “me too!” and “oh wow!” many times! 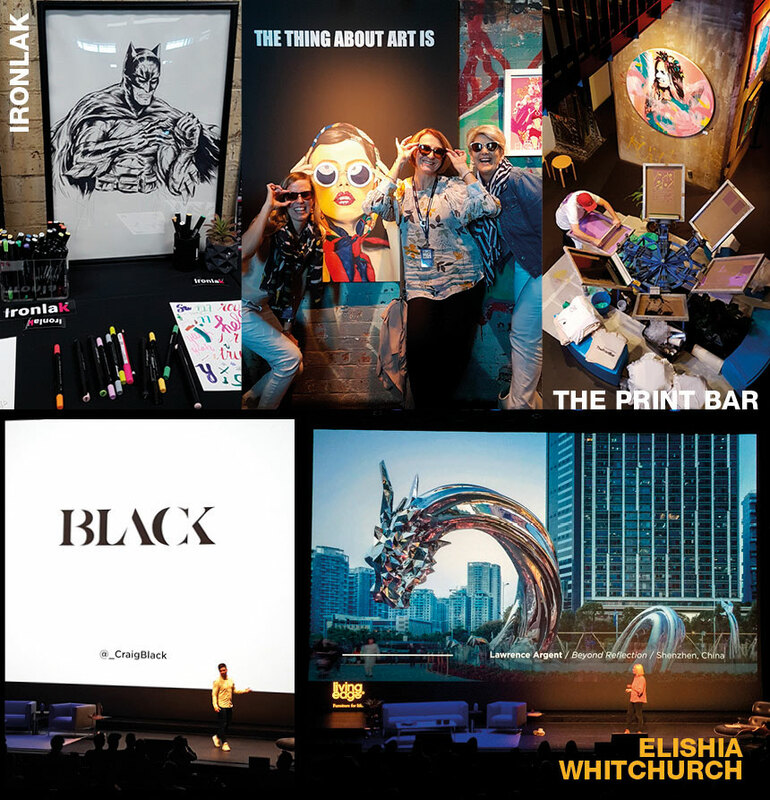 We thoroughly enjoyed the opportunity to meet other designers, discuss design topics in depth, be creatively inspired and awed by the achievements of such stand-out creatives! Beautiful normal is a wonderful state of being! Typefaces can be exceptional in themselves – when incorporated into brilliant design – the result AMAZING! By guided by your own passion. It’s not a competition. Each speaker was insightful and empowering in their own way. It is so important to be challenged and inspired by learning from others. And TDC provided us with such a brilliant opportunity to do this. So when can we purchase tickets for next year’s event? We’re looking for a creative designer to join our team! Here at Salt we believe the right team member is someone with the right attitude, a brilliant portfolio AND a passion for design! Advanced capabilities in using Adobe Creative CS – InDesign is a MUST!!! Illustrator and Photoshop close seconds! Your portfolio consists of ideas, concepts, finished projects – most importantly, examples that show us your creative process is spot on and at the core of everything you do! You ask questions – LOADS of them! You seize every creative challenge presented by working within a team of creative designers. It’s all about the project not the individual! You are more demanding of yourself than we’ll ever be! Please don’t just flick us your application and a link to Béhance. Do some research to find out who we are and whether we’d a good fit for you. So we can see your potential, consider how you can stand out. Tell us who you are, how you design and execute ideas. What drives you? Motivates you? And most importantly, why you want to join Salt. The creativity you show us by how you apply for this position is part of the challenge! So prove to us you have read this advert and know what it takes! Check out our blog mini-series ‘Worth your salt’ for inspiration! APPLICATIONS CLOSE: Monday 30 April 2018. Word documents will NOT be accepted. No agencies please. No huge file attachments!!! Often we are asked – so why is your studio called Salt? It originates from our love of the sea. 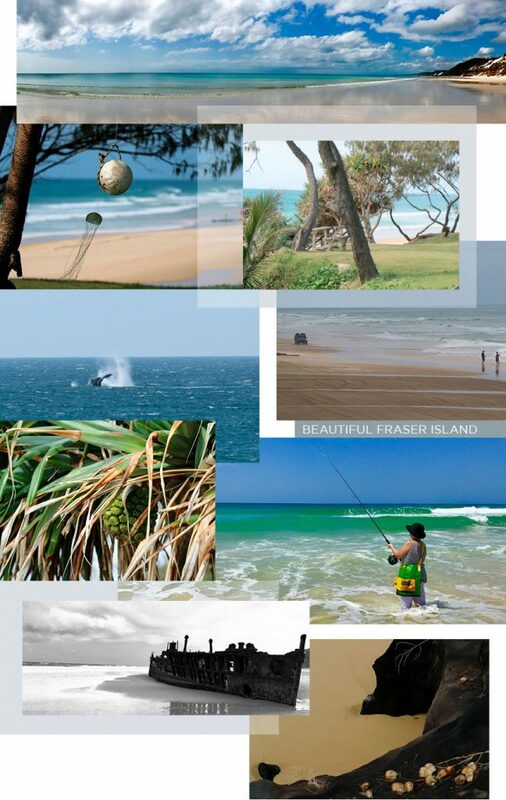 It’s our ‘special place’ fulfilled with many years of memories – fishing, swimming, summer holidays on Straddie and relaxing on Fraser Island. We have just come back from a short escape and wanted to share some pics. Spectacular and boundless natural beauty and abundant wildlife including whales, turtles, dolphins, eagles and dingoes. Sadly not as many fish as we had hoped – maybe next time! Ever since watching her Ted talk over a year ago I have been obsessed with Amy Cuddy (and I’m not alone with over 4 million other people having watched it too!). Amy Cuddy is known as the ‘Power Pose Lady’. Yet there is far more to Amy than her Ted talk and poses. She is a Harvard Business School Professor and Social Psychologist. Amy studies how nonverbal behaviour influences people and her research has been published in top academic journals. 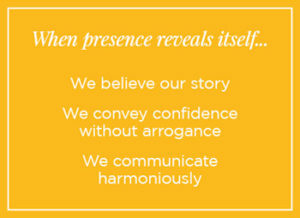 Amy has also authored a book called Presence, and began her presentation talking about just that – being present. I hung off every word and easily related what she was telling us, to how I feel when presenting concepts to clients – her presentation was perfect for this! Amy summed up her advice and reasoning about Presence into a single slide (see left). The second part of Amy’s presentation focused on the power of posture. She explained how when we feel accomplished our automatic reaction is to raise our arms above our head (as if you are a gymnast completing a routine at the Olympics). Amy explained how even people who are totally blind do this same automatic reaction – which proves how in-built the response is to us all. I myself recalled how my arms went up high above my head the moment I was crowned Miss Oktoberfest Brisbane 2016! So it must be true! Amy’s research has shown that this specific pose gives us power and confidence even when we are not feeling so flash. So using this pose is an actual way that we can draw out our inner strengths and seize a moment with more confidence. Amy concluded her presentation into four significant pointers to take into our daily life (see right). 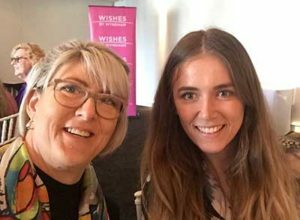 I thoroughly enjoyed listening to Amy and learning more about how to develop confidence and ‘stand proud’ – even when I may be nervous as all heck on the inside! On Thursday 13 July, I had the pleasure of attending the Women’s Leadership Forum in Brisbane, at Victoria Park. Held by the ‘Aim for the Stars’ Foundation. ‘Aim for the Stars’ was founded by Australian world champion surfer, Layne Beachley. Her aim, through the Foundation, is to empower and inspire women of all ages to achieve their dreams and become great leaders. Thursday’s forum focused on resilience and brought together presentations by a number of women who are recognised leaders in their chosen fields of sport, science, business communication and entrepreneurship. The first guest speaker was Dr Cathy Foley – Director and Deputy Director of Manufacturing at CSIRO. Cathy’s presentation was both engaging and amusing! She told us of her life journey from being a dyslexic young girl who did not even know her times tables – to being part of world-renown discoveries in science. From ‘power posing’, to keeping fit, to dinner planning – Cathy provided us with great insight and tips from her life lessons. I felt that everyone in the room could relate to Cathy’s insights and gained reassurance that in life, no one is perfect! What makes the difference is how we approach sticky situations and how we can empower ourselves to rise to each challenge! Holly Ransom was our second guest speaker. Holly is known as a serial overachiever! She is CEO of her own business and has an accomplished list of achievements well beyond her age! To just name one – Holly was listed by Sir Richard Branson in 2016 as one of his dream dinner guests! Holly explained how she went from being diagnosed with clinical depression to travelling the world and doing something she feared every day for an entire year. She went on to tell us how she trained and completed a 13-hour marathon – how the hardships and inspiration she gained through the experience provided her with capabilities well beyond what she could have imagined possible. Holly showed us how such life lessons provided her with the agility and resilience to shape and direct her career. It was so inspiring to listen and learn about how much she has achieved at such a young age. To conclude the Forum, we listened to three young women who have each received scholarships from ‘Aim for the Stars’. We listened to their amazing achievements and how the Foundation has supported and guided them. Each of these women provided great tips on personal growth and ensured us all that no matter what life may throw at you – you CAN achieve amazing things! What a fabulous event full of inspiration and reassurance. With effort, determination and, most importantly, resilience – we can achieve our dreams! https://www.salt-design.com.au/wp-content/uploads/2018/02/Salt-women-forum-header.jpg 530 860 Editor https://www.salt-design.com.au/wp-content/uploads/2017/02/Salt-website-header-logo-reverse-300x138.png Editor2017-07-24 21:34:452018-12-12 10:50:04Aiming for the stars!